If you're planning to enter the contest -- as indeed who is not -- you'll be interested in knowing something about Miss Le Sueur herself. She is an auburn-haired, blue-eyed beauty and is of French and Irish descent. Second only to her career is her interest in athletics, and she devotes much of her spare time to swimming and tennis. Mr. Rapf selected her as being the ideal young American girl of today. And her first starring role will be in "The Circle," a screen version of the noted stage play. "I'M QUITE thrilled over this contest which is to find me a new name," smiled pretty Lucille Le Sueur across the luncheon table, out at the Metro-Goldwyn-Mayer Studios. "People never have been able to pronounce my name or spell it," she continued, "and I told Mr. Harry Rapf, when I found out that, through this contest the readers of Movie Weekly were to choose a new name for me, that I personally will favor one which is easy to pronounce and spell, and also easy to remember. Of course it must be a pretty name as well." I pass on this hint of Miss Le Sueur's preferences, as it may prove valuable in guiding contestants in the Movie Weekly Contest. Miss Le Sueur is but one of the judges, and, of course, the majority will rule, but her preference will be seriously considered, for, after all, she's the one who will wear the name. If you're planning to enter the contest -- as indeed who is not -- you'll be interested in knowing something about Miss Le Sueur herself. She is an auburn-haired, blue-eyed beauty and is of French and Irish descent. Second only to her career is her interest in athletics, and she devotes much of her spare time to swimming and tennis. Miss Le Sueur was selected by Mr. Harry Rapf, official of the Metro-Goldwyn-Mayer company, as being the ideal young American girl of today. Mr. Rapf interviewed hundreds of girls in New York recently, in the hope of finding new faces and developing new talent for the Metro-Goldwyn-Mayer stock company. Mr. Rapf firmly believes in giving new people an opportunity on the screen, but first they must impress him as having outstanding personalities and latent talent. Of the many girls who took tests in hope of being sent out to Hollywood, Miss Le Sueur was the only one to be awarded a contract with the Metro-Goldwyn-Mayer company. You can readily understand that she is an exceptionally attractive young lady, to have won this honor. So great is Mr. Rapf's faith in her that she will be given an important role in "The Circle," the noted stage play soon to be filmed. Miss Le Sueur was born in San Antonio, Texas. She was always ambitious to go on the stage, and used to put on her mother's dresses and act roles before her mirror when she was just a child. When she grew older, the family moved to Kansas City, Missouri, where she attended St. Agnes' Academy, and later she was sent to Stephens' College, at Columbus, Missouri. "When I heard that I had passed the screen tests," Miss Le Sueur said, "it seemed like a dream. My mother is now reconciled to my career, which she objected to at first, and is in Hollywood with me. And when the readers of Movie Weekly decide upon a screen name for me, my happiness will be complete." Her parents would not consider a theatrical career for their only daughter, and as all her pleadings were in vain, Miss Le Sueur took matters into her own hands last spring and ran away from school, landing in Chicago with just two dollars. She applied for a place in the Ernie Young Revue, where her youth and beauty won her the opportunity to do a specialty number. The revue went presently to Detroit, where it was presented at the Oriole Terrace. While in Detroit, "Innocent Eyes", starring Mistinguette, also played in that city, and Lee Shubert dropped in one evening to see Young's Revue. 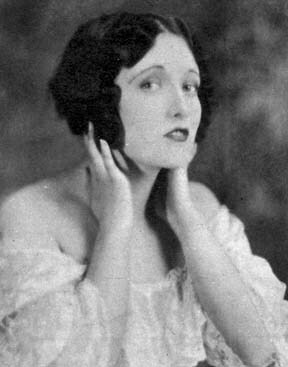 The famous showman immediately singled out Miss Le Sueur as being a young lady of talent and charm, and what was her delight the next day to receive an offer to join the "Innocent Eyes" company. With this show, she went to New York City, appearing at the Winter Garden there. Miss Le Sueur says that she never thought of a motion picture career up to this time. Her ambition was rather toward the musical comedy stage, and she seemed rapidly headed toward stardom there. But one day she heard a group of girls discussing the chances of getting into motion pictures. Someone said that Mr. Harry Rapf, of Metro-Goldwyn-Mayer, was in town, taking tests of scores of girls and young men, with the intention of augmenting his stock company on the Coast. For the first time it occurred to Miss Le Sueur that she might like to become a film actress, and she arranged for an interview with Mr. Rapf. "When Miss Le Sueur came into my office," Mr Rapf tells me, "I knew that she had that rare thing -- personality. She is beautiful, but more essential than beauty is that quality known as screen magnetism. Even before we made camera tests of her, I felt that she possessed this great asset. Her tests proved it." Miss Le Sueur went home to Kansas City for the Christmas holidays without knowing the results of the tests. Mr. Rapf had told her that he wire her if they were satisfactory, and on New Year's Day she received the happy new that she was to proceed to the Coast and become a member of the Metro-Goldwyn-Mayer stock company at Culver City. "I was so happy that the trip seemed like a dream," declares Miss Le Sueur, "and I think Hollywood the most beautiful place in the world. My mother is now reconciled to my career, and when the readers of Movie Weekly have decided upon a screen name for me, my happiness will be complete." 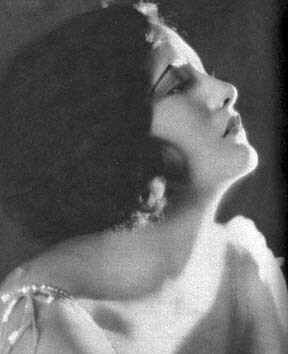 Here is a new photograph of Lucille Le Sueur, who needs a name for her screen career. Study the pictures and descriptions of her in this and the next five issues of Movie Weekly in order to have her personality well in mind when you make your suggestions for her new name. One thousand dollars in cash prizes in this instance. Movie Weekly has arranged with the Metro-Goldwyn-Mayer studios to undertake to find a suitable screen name for one of their new players, a beautiful young girl. That big picture-producing organization wants the readers of Movie Weekly to participate in a national contest. It will run six weeks. All you have to do is think up the right name and win the first prize of five hundred dollars. The next ten best names suggested will be rewarded with cash prizes of fifty dollars each. Harry Rapf, one of the executives of the Metro-Goldwyn-Mayer studios, is credited with developing more latent motion picture talent than any other person in the film industry. He has made stars of extra boys and girls! He has made famous continuity and scenario writers our of amateurs. He has developed struggling young men into famous directors, executives and technicians, and they are now drawing magnificent salaries. Rapf has an uncanny instinct for detecting good raw material and giving it a good opportunity to succeed. During ten years as a film executive, he has never made a mistake in picking the right person. He doesn't make the mistake of selecting people who think they are good. He always selects those whom he thinks would be good if they are given the right opportunity to succeed. We might name a large number of artists, directors and executives who would still be in the ranks had they not drawn the attention of Harry Rapf. But to name these people might be embarassing to some of them. He doesn't want any credit for "discovering" them. He wants them to keep on thinking they succeeded entirely through their own efforts, because he makes them prove their worth. 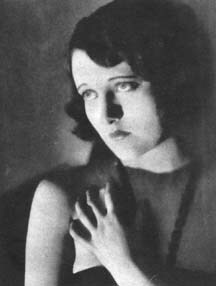 The duration of this contest will be six weeks, during which time the issues of Movie Weekly will carry photographs and text matter on Lucille Le Sueur which will aid the readers in their choice of a screen name for her. All suggested names must be postmarked by midnight of May 2, 1925, and addressed to "Metro-Goldwyn-Mayer Contest Editor," care Movie Weekly. 1926 Broadway, New York City, N.Y. There is no limit to the number of names which can be suggested but each suggested name must be submitted on a separate coupon, even if they are mailed in the same envelope. The judges have been chosen because of their ability to judge the name best adapted for this purpose and their decision is final. Eleven prizes, totaling one thousand dollars, will be awarded. The first prize will be $500. And there will be ten other prizes of $50 each for the sponsors of the next ten best names. In the event of two persons suggesting the name finally selected, both will receive the designated award. She has beauty; she has personality. She photographs remarkably well, and is far above the average in intelligence. She is strictly an American type, with a charm and elegance that stamps her a daughter of Uncle Sam. She has youth and a pleasing figure. Above all, she is energetic and ambitious. Ever on the look-out for good material, this girl was found by Mr. Rapf in the cast of the "Passing Show of 1924" where she was playing a long-term engagement. Prior to that time she was a member of "Innocent Eyes" at the Winter Garden, her first theatrical engagement after she deserted society and college life. "I know she will be a remarkably clever motion picture artiste," says Rapf, "but her name is unsuitable for the screen, because it is difficult to remember, hard to spell and still harder to pronounce correctly." Her present name is Lucille Le Sueur, but she must have a new cinema christening, and the readers of Movie Weekly are to be given the opportunity to sponsor it. Louis B. Mayer, Irving G. Thalberg and Harry Rapf, the powers-that-be at the big studio are ready to start her on a stellar career as soon as her new name has been chosen. The contest is open to all. Select what you believe an appropriate name and send it to "Metro-Goldwyn-Mayer Contest Editor" care of Movie Weekly. 1926 Broadway, New York. Send as many names as you like, but observe this rule: Each name you submit must be on a separate sheet of paper, with your own name and address accompanying it. The judges of the contest will be Adele Whitely Fletcher, the editor of Movie Weekly; Harry Rapf, Florence Lawrence, dramatic editor of the Los Angeles Examiner, and Edwin Schallert, dramatic editor of the Los Angeles Times. It must be short or of only moderate length. It must be suitable to the individual, who will use it during her entire picture career. It must be euphonious, pleasing and yet have strength. It must be a name easy to remember and quick to impress. It must not infringe upon nor imitate the name or any other artiste. She is eighteen years old, was born in Texas of remote French and English ancestry. She is five feet, five inches tall, weighs one hundred and twenty-five pounds, has dark brown hair and large blue eyes and a fair complexion. She was educated in private schools, including St. Agnes Academy at Kansas City, Mo., and followed this education with a diploma from St. Stephen's College at Columbia, Mo. Tiring of the social life of a debutante, she left home to become an actress. You can help her attain her life's ambition by selecting a good name for her, and at the same time the Metro-Goldwyn-Mayer studio will reward you with a large amount of cash. There will be eleven winners. From the best eleven names suggested, one will be chosen for this unnamed screen beauty. $500 will be the reward for it, and the sponsors of the other ten names will be given $50 each. And next week there will be additional photographs and information regarding Miss Le Sueur to aid you in making your suggestions. Don't miss it.